"I love it so far." Great product for starting young dogs and tuning on older dogs as well. It has been working great so far. They work great. No more lost dogs. Come home with your dogs every hunt. Just one flaw, you should be able to connect to the collars with the alpha and the Astro 320. Just one flaw you should be able to connect to the collars with the alpha and the Astro 320. I love the ability to see what is going on at all times with my hounds when they are running. The system is easy to setup and user friendly. Will definitely be adding additional collars in the future. So far great product. Also, highly recommended Gun Dog Supply. They have always backed what they sell with quick response and delivery. "Looking forward to using it during quail season!" 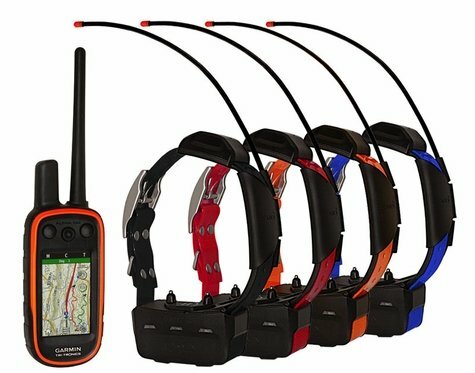 We are first time users of a GPS based collar system, but have found the menus easy to navigate. It's simple to pair collars to the handheld and to change settings on the collars. Range is good over the 4 mile stretch we've used it on so far. Looking forward to using it during quail season!